Termite season is here, contact us for a FREE Termite Inspection! Please complete the form below and we will be in touch with you as soon as we can! 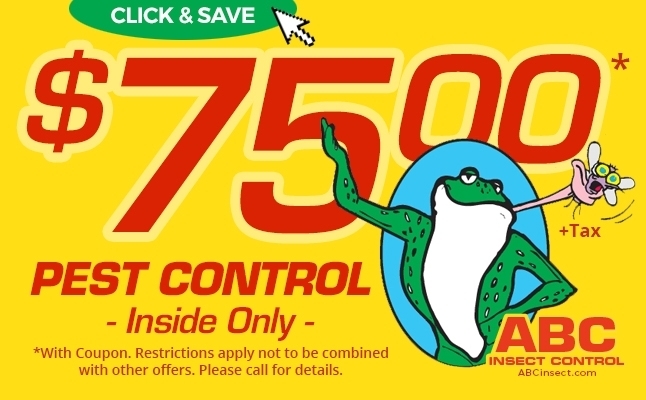 ABC Insect Control, provides professional pest, termite and rodent control for commercial, and residential customers in the Rio Grande Valley and surrounding cities. We take pride in our 30 years experience in the pest control industry. ABC Insect Control provides custom pest control solutions for all common household pests, including: roaches, fleas/ticks, ants, spiders, rodents, termites, and many more. ABC Insect Control has the experience and the tools to quickly and professionally solve your problem. Rest assured all employees are state licensed, and we are fully insured for your protection.